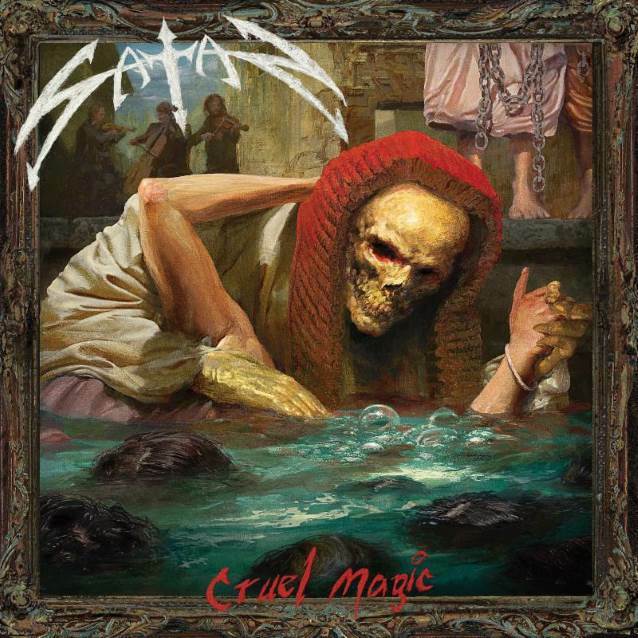 On September 7, Metal Blade Records will release "Cruel Magic", the new album by NWOBHM legends SATAN. The cover artwork for the disc was created by renowned artist Eliran Kantor, who has previously worked with TESTAMENT, HATEBREED, SOULFLY and KATAKLYSM, among many others. For a preview of "Cruel Magic", listen to the second single, "Into The Mouth Of Eternity", below. SATAN comments on the new single: "Playing this song in rehearsals is such a rollercoaster, and it's obvious already that it's going to be part of the SATAN live show for some time to come. This song has been in the making since 2014 and we are so excited to finally unleash it on the new record. It's our album opener, so turn up the volume and hold on!" 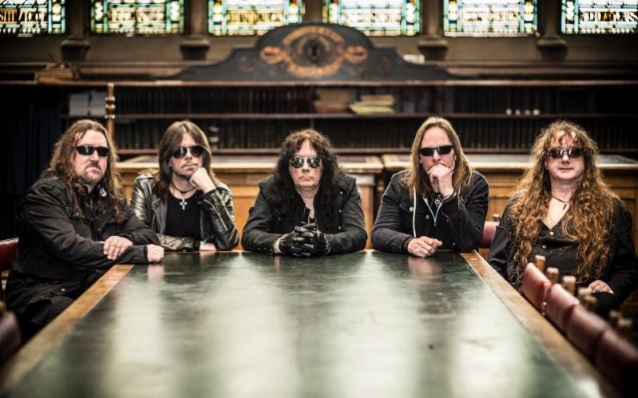 Bearers of the NWOBHM movement and responsible for '83's seminal "Court In The Act" and '87's "Suspended Sentence", SATAN makes it abundantly clear with its upcoming album that in 2018, it is not interested in simply capitalizing on past glories. Comprised of 10 tracks of searing metal, it is blatantly and profoundly the work of the Newcastle upon Tyne natives at their very best, infusing their signature sound with a more raw, wild and spontaneous vibe than they showcased on 2015's mighty "Atom By Atom" — and in the process, displaying more passion and energy than slews of bands half their age. "We truly feel we've got it 100 percent right this time, the balance between considered content and reckless performance," SATAN says. "We always break loose on stage so why not on record?" 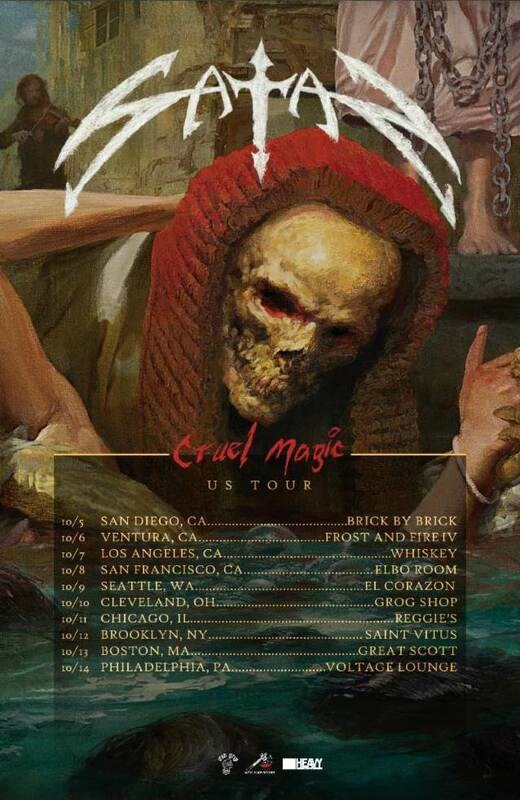 In support of "Cruel Magic", SATAN will head out on the road this October for a USA tour, which includes an appearance at the Frost And Fire IV festival in Ventura, California.